Depending on how your truck came equipped from the factory, you may want to consider adding these items to complete your heavy duty towing package. 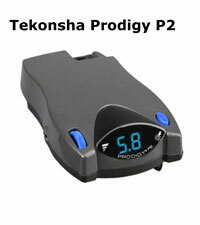 Brake Controller - There are two basic styles of brake controllers - Proportional, and Timed. Both allow you to apply measured amounts of power to the trailer brakes and are controlled by the brakes of the towing vehicle. Gooseneck Trailer Wiring - This allows for easy hookup of the trailer wiring to the cab wiring. 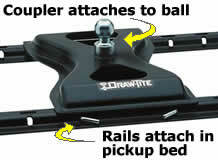 Rail Kits - The rail kit is secured to the inside or under the pickup bed to attach the Gooseneck Hitch solidly in the pickup bed. Transmission Cooler - Protect your tow vehicle's automatic transmission from damaging heat caused by heavy duty towing by installing a Transmission Cooler. Data generated in 0.002279 (s) from 6 queries.